We’ve adored Anna Camp ever since she first captured our hearts as Aubrey, the co-leader of the a capella group the Barden Bellas and the antagonist to Anna Kendrick’s main character Beca, in Pitch Perfect and its sequel. 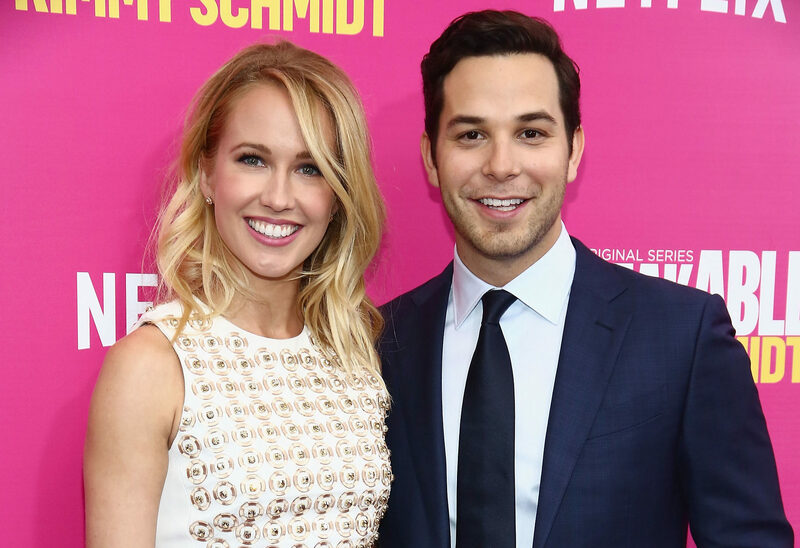 We’ve also adored her romance with her Pitch Perfect co-star Skylar Astin ever since they revealed their relationship back in 2013. We were so happy to hear that the two lovebirds got engaged back in January – and we especially loved the fact that Astin got an engagement ring of his own, as a symbol of his commitment to marry his lady. The two were married this past weekend, on September 10th, in an outdoor ceremony on the central California coast that basically doubled as a fab Pitch Perfect reunion. Now, giddy newlywed Anna Camp is sharing detailed photos of her stunning gown via her Instagram account. And let me just say it again in case you missed that first one: her dress is STUNNING. Here are the newlyweds walking down the aisle as man and wife, fittingly looking like a scene out of a movie. And here are three closer shots of the lovely dress, as shared by Camp. "Sometimes you gotta get your dress fluffed," joked Camp in one caption. Fluffed or not, the classic design of the gown is gorgeous and perfectly complements Camp on her big day. She looks, dare I say, aca-mazing. According to Camp’s captions on the Insta posts, her dress is from designer Reem Acra. She could not stop gushing and thanking Reem Acra for her dress, and honestly, we can’t blame her. The strapless, classic gown has a fitted bodice and a sweetheart neckline, “with all-over lace embellishments that extended down like delicate vines onto the tulle circle skirt,” according to PEOPLE. Congrats to Anna and Skylar on tying the knot, and an extra congrats to Anna for rocking that dress like a wedding vision in white! These photos will surely stave off our antsy-ness as we wait for any and all info about Pitch Perfect 3.